Probiotics And Cancer, What’s The Link? Cancer is an unfortunate reality in my line of work. Screening for it, thinking about it, looking for it in patients with a large variety of symptoms, and figuring out how to break the news to patients when we find it take up a lot of my time and energy. I would love it if cancer were LESS of a reality in my job. That’s one of the reasons I was so excited to read reports of studies showing that a certain type of supplement can be helpful in the prevention and treatment of cancer. What is the link between probiotics and cancer? There has been some recent research published showing a role for probiotics for treatment and prevention of some types of cancer. Those who have a more diverse population of bacteria in their intestinal tracts seemed to respond better to some types of cancer treatment. Also, those who have had their microbiome (a collective term for all the non-human organisms that live on and in our bodies) damaged by antibiotics don’t respond as well to cancer therapy. Why does this link to probiotic supplements? Well we can modify our microbiome by changing our diet and by taking probiotic supplements. Our microbiome is all the bacteria, fungi, protozoa and viruses that live on and in our body. In fact, there are 10 times as many organisms in our microbiome as there are cells that are “us.” We are walking, talking colonies of nonhuman microscopic organisms! They influence our mood and the inflammatory state of our body, they make vitamins for us and have a huge influence in general on the state of our health. They even digest our complex carbohydrates for us! One of the most important ways the microbiome influences our health is by modulating our immune system. Our immune system interacts with the microbiome in ways we are just starting to explore. We know there is an association between autoimmune disorders like Crohn’s disease and alterations of the microbiome known as dysbiosis. Healthy immunity influences our ability to fight infection and also affects our ability to identify and eliminate abnormal cells before cancer gets a foothold and starts to grow. How can we influence the microbiome? There are three significant ways we can change our microbiome to be healthier. First is to eat a healthy diet low in processed foods, artificial food ingredients and added sugar, and high in whole fresh plant foods. Soluble and insoluble fiber are our healthy helpful bacteria’s favorite food. We should get at least 30 grams of fiber in our diet every day. Not sure how much you’re getting? You can use a calorie tracker like MyFitnessPal which gives you your daily intake of macronutrients like protein, carbohydrates, fat and fiber. Soluble fiber turns into goo when you cook it. Think of beans, apples and oatmeal – three great sources of soluble fiber. Insoluble fiber doesn’t care if you cook it, it stays hard and rough. The ribs of celery and the brown coats of brown rice grains are good examples. A second thing that really influences our microbiome is taking antibiotics. There is research that shows the gut microflora can have changes that persist for years after a single 7-day course of antibiotics. We really need to resist the temptation to seek antibiotics for every little cold and respiratory illness that comes along. The third way we can influence our gut microflora is to take probiotics. These are supplements that contain living bacteria in a form that is protective from the stomach acid. They deliver the bacteria to the intestine where they can change the balance of bacteria from more-harmful to more-helpful. There is research that shows that probiotic supplements can have a role in both the prevention and the treatment of cancer which is really exciting, because they are so very safe, inexpensive and easy to take. There isn’t a lot of research yet published about probiotics and cancer prevention. However, it is feasible that probiotics may be protective against cancer by strengthening the immune system. Probiotics also can act by changing the microbiome to a more healthy population of bacteria. For example, one study did show that soy milk fermented with probiotics has been suggested to be protective against the development of breast cancer, although more study is needed. Also, the cells lining the colon use the short-chain fatty acid butyrate for most of their energy needs. Butyrate forms from the fermentation of soluble fiber by bacteria in the colon. It promotes the growth of healthy colonocytes as well as suppression of proliferation (i.e. cancer formation). Colon cancer is associated with a relative lack of butyrate-forming bacteria as well as with a lack of fiber in the diet. Increasing fiber in the diet encourages the growth of butyrate-forming bacteria. This explains the decrease in colon cancer risk with higher fiber intake. This is brand new and really exciting. The idea that the success of cancer treatment can be influenced by probiotic therapy is pretty radical. Probiotic supplements can also be used to decrease unpleasant symptoms caused by conventional treatments. For instance, probiotic supplements were successful in preventing and treating diarrhea caused by chemotherapy and abdominal and/or pelvic radiation. Ultimately, it is better to prevent than to treat cancer, right? Prevention depends on a healthy diet based largely on plants with plenty of fiber. Fiber may be the single most important nutrient we can take in our diet, as far as cancer prevention goes. This is largely due to its profound influence on our intestinal microbiome. Probiotic supplements have their role too as a way to fairly quickly influence the microbiome in a positive direction. For those who are new to the blog and/or not aware, I choose Shaklee supplements for myself and my family. I also recommend them for my patients and friends. You can check this page to see why. Click this link to browse my online store and this link to specifically check out the OptiFlora probiotic supplement. Please feel free to email me with any questions you may have. QUESTION: Are you concerned about your personal risk for cancer? Do you get enough fiber in your diet? Do you take a probiotic supplement? Well it’s happened. For the last 6 months I’ve been warning my patients that the powers-that-be are going to be tightening up the goals for blood pressure control. This week the American Heart Association, the American College of Cardiologists and a number of other professional organizations released new blood pressure control guidelines. Why now? 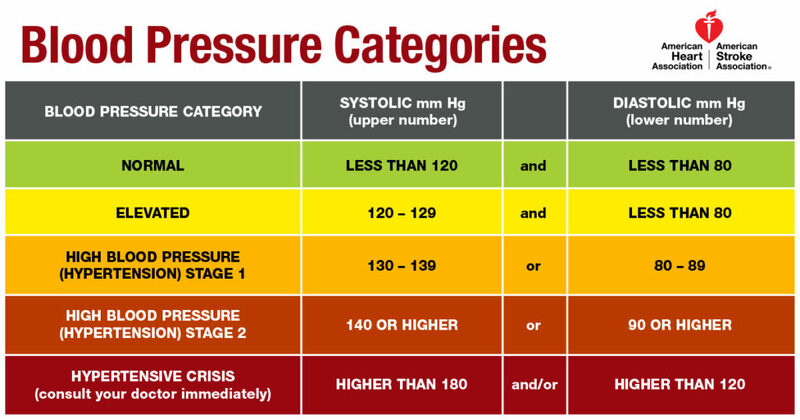 For years the definition of hypertension has been a blood pressure over 140/90 for patients under 60 years of age, and over 150/90 for patients 60 and over. There have been a number of new studies published showing that patients with blood pressure over 130/80 are at higher risk for heart attack, stroke and kidney disease due to the wear-and-tear of elevated pressures on the circulatory system. Our hearts and blood vessels and kidneys were not designed to deal with elevated blood pressures for long periods of time. My cardiology colleagues hate when I compare the circulatory system to a water pump and piping, but the analogy works. Too much pressure and the pump wears out sooner. Too much pressure and the pipes can fail. In the case of the living tissues of the human circulatory system, too much pressure strains the pipes and the chronic injury heals as scarring which shows up as plaque. Too much pressure and the delicate filters of the kidneys get damaged. I’ve known for a long time our guidelines were wrong. Any number of times I’ve had patients with “normal” blood pressure need an echocardiogram (heart ultrasound) for a murmur or some other problem. When the echo is done the report mentions that the heart muscle is stiff (called diastolic dysfunction). Why does the heart muscle get stiff? From chronically working against too-high blood pressure. I treat my patients with diastolic dysfunction with blood pressure medication, regardless of the numbers I get with the BP meter. My goal is typically to lower the top number and bottom number both by 10 points. Why treat patients with diastolic dysfunction with blood pressure medication? Because whatever the numbers, their heart is telling us that THE PRESSURE IS TOO HIGH. The heart is working too hard, “lifting weights” like the big muscle-bound guys at the gym, and the heart muscle is too thick and stiff to function properly. These new guidelines are actually not as aggressive as I expected. The SPRINT trial, one of the primary drivers of the new guidelines, actually showed that controlling blood pressure below 120/80 saves lives from heart attacks and strokes and prevented the development of kidney disease. What are we supposed to do with patients whose blood pressures are considered “elevated” or “high?” We are SUPPOSED to start with lifestyle changes. “Aggressive” lifestyle changes, in fact. Yay! That is right up my alley! Unfortunately, many doctors are likely to skip the lifestyle change talk and move right to medications. We cannot medicate away a bad lifestyle. This is something I teach my students in no uncertain terms. If a person wants to be healthy you MUST start with a healthy lifestyle. A healthy lifestyle means avoiding smoking, excessive alcohol and other harmful substances. It means eating more fresh whole colorful plant foods, whole grains, beans, nuts, seeds and healthy fats and avoiding or limiting animal foods like animal flesh, eggs and dairy. A healthy lifestyle means drinking fresh clean water instead of soda and juice. It means getting plenty of sleep, plenty of exercise and plenty of fresh air and time in nature. A healthy lifestyle means doing what you can to minimize toxic stress and your exposure to negative, toxic people. Respecting your body, respecting your mind and respecting your spirit are integral to health. Supplements have their place as well. I have patients for whom the only blood pressure “medication” needed is a magnesium supplement once or twice daily. Fish oil can also help to reduce blood pressure especially in doses over 2000 mg daily. Please reach out to me if you’d like more information on using supplements to help with elevated blood pressure. So these new guidelines mean we’re going to be prescribing more medications but also hopefully that we will be pushing harder on people to make healthier lifestyle choices. Which ultimately will be good for us all. QUESTION: Do you have high blood pressure? Are you sure? Do you think the next time you see your doctor you will be discussing your blood pressure? Welcome to cold and flu season :-/ My office schedule has filled up with parents, kids and older people with coughs, sore throats and clogged sinuses. Every year I have patients that come in two or three times with colds and sinus infections and they ask me what they can do to get better and stay better. I start by telling them immune support depends on good diet, plenty of rest, and good hand-washing. However, this is only part of the story. I can tell YOU that I have some extra ammunition in my medicine cabinet. Want to know what I and my family depend on for immune support? As I’ve written before, all health starts with a good nutritional foundation. Because the vast majority of us (over 95% of us in fact) don’t get all the nutrition we need from our food, a good multivitamin is a smart step. I wrote about choosing a multivitamin not long ago, click here to read that post. If you’re taking a good multivitamin already and still find yourself catching all the cooties you run across, Shaklee has supplements that will help with extra immune support. If you’re new to reading my blog, I wrote about why I chose Shaklee for my nutrition partner on this page. Have you heard of interferon? It is a group of signaling molecules important in the immune system. One of the early researchers on interferon, Dr. Yasuhiko Kojima, felt he could use botanical ingredients to create a supplement that would increase interferon naturally and strengthen the immune response. It took him years of research but he did develop a supplement that did just that. When looking for a company to bring his development to market, he chose Shaklee. This product is called NutriFeron. Research has shown that it provides natural support to the immune system. Skeptical? Good! Here’s information with links to the original research articles. A lot of people reach for cold remedies when they start with congestion and sore throats. Not in my house! When that first scratchy tickle in the back of the throat starts, we begin using Defend and Resist and Vitalized Immunity. They are very effective in providing what the immune system needs to fight colds and other respiratory infections. What about kids? Kids can use both Defend and Resist and Vitalized Immunity as well as adults, but what about basic nutrition support for them? Shaklee to the rescue! The chewable multivitamin for children, Incredivites, contains lactoferrin which helps support and strengthen their immune system to keep your little superheroes healthy all year round. We didn’t forget the littles, either. Until the end of November there is special savings available for the ShakleeKids Power Pack which includes Incredivites, Mighty Smart Chews (chewable DHA from fish oil) and Chewable Vita-C. Staying healthy during the holiday season can be tough. Between get-togethers (all those hugs and kisses! ), shopping (cart handles and doorknobs) and work stress, the immune system gets a pretty good challenge. Eating healthy, staying hydrated and getting good rest go a long way towards fighting off the illnesses surrounding us this time of year. Adding a good multivitamin and Nutriferon for immune support is smart. If your luck runs out and some cootie catches you, Vitalized Immunity and Defend and Resist will help your immune system stand strong. Curious about which supplements are right for you? Take five minutes to fill out a HealthPrint personalized health assessment now. Get started being your healthiest you, during the holiday season and all year round. QUESTION: Do you tend to catch a lot of colds during the winter? Remember a few weeks ago I wrote about THIS problem? About 2 weeks ago, the FDA approved Shingrix, a new vaccine for the prevention of shingles in people aged 50 years and older. They also took the very unusual step of stating that people should get Shingrix rather than Zostavax, the only other vaccine available to prevent shingles. Not only did the FDA state a clear preference for Shingrix over Zostavax, they also recommended that people who have already been vaccinated with Zostavax should be RE-vaccinated with Shinrix. To my knowledge, the FDA has never done this, showing such a clear preference for one vaccine over another, to the point of saying that a previous vaccination is essentially invalid. Why would the agency do this? In the clinical studies, Shinrix was well over 90% effective in preventing shingles and its most devastating consequence, postherpetic neuralgia, in all age groups. 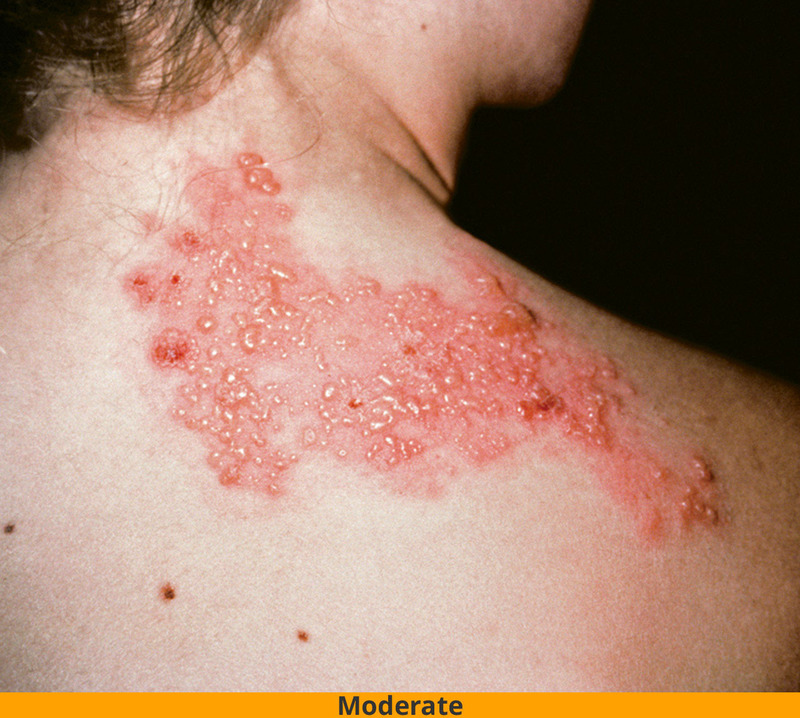 By contrast, Zostavax is only 18-64% effective, and is least effective in patients over 80 years of age, who are at greatest risk of a shingles outbreak. Shingrix studies, by contrast, were carried on for up to 5 years and showed that the vaccine remains effective for prevention of both shingles and postherpetic neuralgia. The question remains, though, will the protection be lifelong? After all, if you vaccinate someone at age 50 they have hopefully MANY more than 5 years to live shingles-free. Shingrix is not a live virus vaccine, therefore there is no restriction on vaccinating people who are immune compromised or live with someone who is immune compromised. What are the downsides of vaccinating with Shingrix rather than Zostavax? The Shingrix dosing schedule calls for a second, booster dose of vaccine 2-6 months after the first dose. This may be a problem with Medicare, because there are no Medicare-covered vaccines that call for a second dose within one year. We will have to see how the coverage determinations shake out at the Medicare level. Shingrix’s package insert reports over 50% of patients who received the vaccine complained of body aches, fatigue and headache afterwards. 88% of people reported pain at the injection site (compared with 14% of people who got a placebo shot). Recipients also reported fever, shaking chills and GI symptoms in fairly large numbers. Younger people had more problems than older people, probably because they were making a more robust immune response. From a population health standpoint, a 90% effectiveness rate sounds fantastic. However, from a cost standpoint it might not be so great. Here’s a crash course in how we determine how many people you have to treat in order to prevent an illness or condition. You need to vaccinate 99 people over age 80 in order to prevent one case of shingles over 5 years. That’s a LOT of vaccine, but much better than 435 patients with Zostavax. Shingrix isn’t even available to order yet for doctors’ offices and pharmacies, and already it’s creating a stir. The unprecedented endorsement by the FDA favoring Shingrix over Zostavax will likely force Zostavax off the market soon. Shingrix IS much more effective than Zostavax at preventing both shingles and postherpetic neuralgia. That higher effectiveness comes at the cost of being a more uncomfortable vaccine to receive, and having two get two shots instead of one. If the goal is preventing shingles, Shingrix is clearly the way to go. I will hit the age to be eligible to receive the Shingrix vaccine in a few years. Will I get it? Probably, because I’ve already had one bout of shingles and I really don’t want to have it again. QUESTION: Have you had Zostavax? Will you get Shingrix?